The electric boilers model SB are offered from 150, 200, 300, 400 up to 500 litres. They are made with enameled and Cr-Ni water containers. 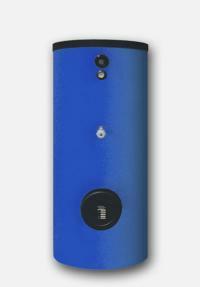 The enameled ones are secured with anode protection to provide many years of operation. The boilers are offered both in vertical and horizontal execution.